Many people do not realize the importance of stretching their muscles before exercise and tend to skip it often. They tend to stay under the notion that their muscles will be heated up as soon as they start working out, so they usually bypass the process of warming up with muscle-stretches first. There are also some who do not realize the need to stretch muscles after exercising, which is often called cooling down. Stretching your muscles before and after engaging in an exercise program or fitness training regimen is important. Taking a few minutes to stretch and warm up your muscles before beginning exercise releases a lubricating substance from the cartilage within the joints, which aids the fluid motion of muscles and also keeps bones from scraping against one another at connection points in the body. Lubricated and fluidly moving muscles have more flexibility which reduces your chances of injuring them. 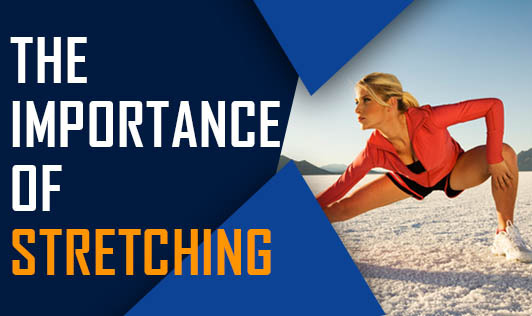 Helping your muscles to become more flexible by stretching is not only beneficial for preventing injury during exercising, flexible muscles are able to distribute strength better which helps you in doing a variety of physical activities with more balance, less energy, especially while lifting and bending. During an exercise routine you tense and stretch muscles. Tensing and stretching muscles strengthens them and increases the mass of muscles. The circulation of blood throughout the body is also increased by stretching your muscles. After a good workout, muscles and joints are heated up and become tight and can stiffen and become sore a few hours later if you do not take a few minutes to cool them down with some post exercise stretching. You may be wise to consider slowing things down and gently stretching to relieve the tightness in muscles and joints that have built up during your workout. Stretching muscle groups such as the neck, shoulders, back, hips, thighs and calves for at least thirty seconds each pre and post exercising, usually gets the job done. You can stretch them for longer if they still feel extra tight. So consider the benefits of stretching before skipping it in the future.